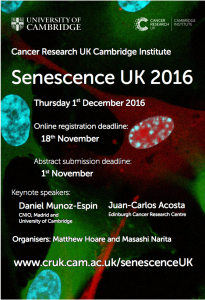 The biannual UK senescence symposium will be held at the CRUK Cambridge Institute on the 1st December this year, website: www.cruk.cam.ac.uk/senescenceUK to register. 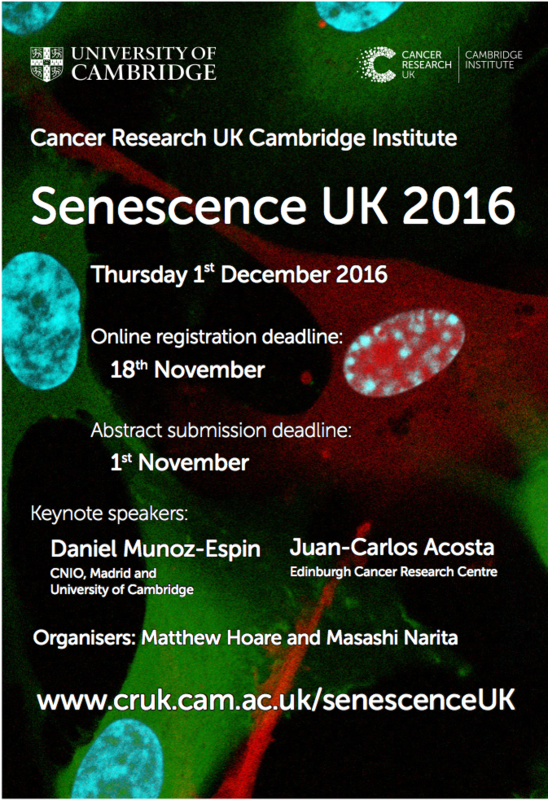 The meeting will cover all aspects of senescence from chromatin to the SASP. We have keynote talks by 2 new group leaders Juan-Carlos Acosta & Daniel Munoz Espin. Similar to previous meetings most of the programme will consist of short talks from submitted abstracts to give PhD students and post-docs a great platform to present their work. Registration is also completely free. Hope to see you at the CRUK CI in December.